We can proudly say that our fully furnished bridal suite caters to the modern bride in more ways than one. Inside, you can find a fully functional kitchen with champagne and fruit provided, plus more eating options from SkyPark. 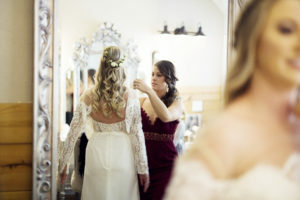 The separate bridal room for the Bride is furnished with a full length mirror, makeup station, and lounge. Once ready, the bride and her bridal party can step outside onto the private patio area for more photos and a final toast. You won’t find any of this at another venue. On your wedding day, it’s important that you have a private, secluded space with your bridesmaids away from all of your guests that will eventually be lining up to take photos with you. 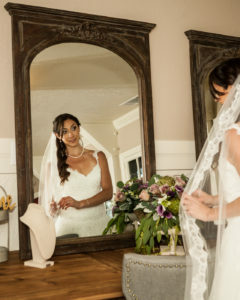 Our bridal suite is the perfect place to get ready in peace with the people who mean the most to you. Within the bridal suite, there is a separate room for the bride to get ready and a private designer bathroom. Your mind will rest easy knowing you have full privacy and security of your belongings in one place. 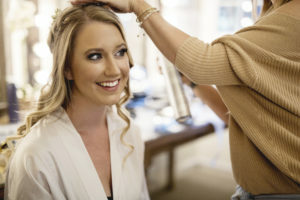 Brides are told to prepare for a chaotic day of nonstop activities on their big day prior to their wedding. It’s important that you take at least one moment by yourself to look at yourself in the mirror and take it all in. Our serene bridal suite is perfectly peaceful with plenty of room for you and your bridesmaids along with a separate bridal room for the bride to take advantage of those special moments. Depending on how many bridesmaids you have in your party, attempting to get ready in a small suite is nearly impossible. However, when you arrive at our bridal suite, you’ll see that your entire party will be able to get ready with ease. 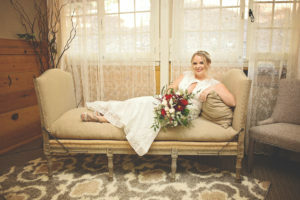 Not only is our bridal suite large and comfortable, but there are numerous hair and makeup stations for all bridesmaids. Each station is fully equipped with large, well lit mirrors, a space with plenty of room for supplies, and electrical sockets for hot tools. 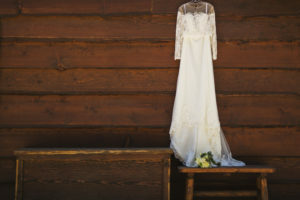 The biggest benefit of having a bridal suite at your venue is quite possibly proximity. The bridal suite at SkyPark Weddings is just steps away from the Creekside Ceremony Site. 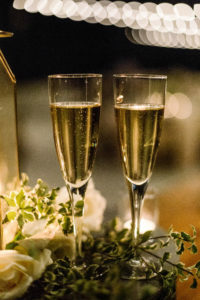 Your wedding day is busy enough as it is, you shouldn’t have to set aside additional time travelling from your home or hotel to your wedding venue. Our bridal suite is tucked away beside our venue’s ceremony site. Once you step outside, you’ll be led straight down the aisle. A bridal suite is essential for taking pre-wedding photos while you and your bridal party are getting ready. SkyPark Weddings’ bridal suite has gorgeous furnishings that are perfect for your getting ready photos. 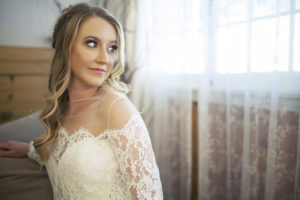 A photographer will be able to capture some of the most emotional moments leading up to your wedding as you’re getting ready. Lucky for you, our bridal suite is extremely photogenic and makes for great photos. 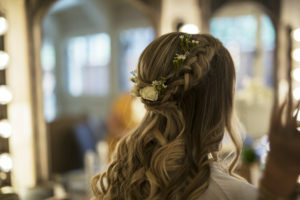 SkyPark Weddings is a premier Southern California wedding venue located in the historic Santa’s Village location, bordering the San Bernardino National Forest. Surrounded by majestic mountains, the fairy tale wedding of your imagination can come to life. After the ceremony, your loved ones can enjoy the ambiance of the forest and celebrate this wonderful occasion underneath the full blanket of stars visible from this mountain peak. 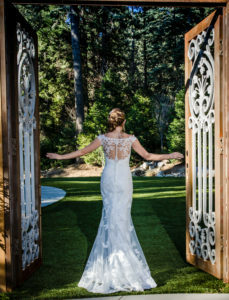 To visit our unique property, please contact us by emailing info@skyparkweddings.com or call 909-744-9924.